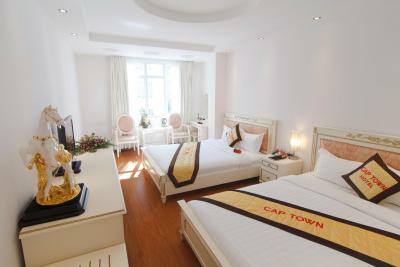 Lock in a great price for Cap Town Hotel - rated 8.6 by recent guests. Helpful, friendly staff. Great location for nighowls. Nice staff. Bed very confortly. 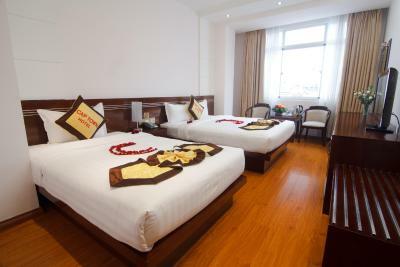 Big room with one double bed and one single big bed. Good location but hotel needs some upkeep. Room was ok but bathroom flooded every time we had a shower. If you are after a good location than this hotel is fine. Breakfast was average. Staff were helpful. 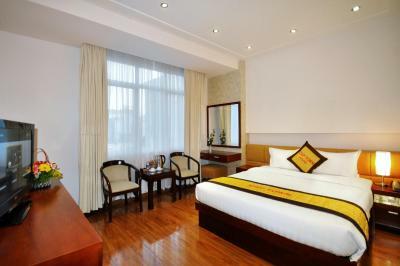 Great hotel in central location! Rooms were very clean and spacious. Great location as we could walk to the Palace, museum, Notre Dame and the market. Room was fabulous and spotlessly clean. Best bathroom and shower we have had all year! Great buffet breakfast. Lovely staff and wifi was great. Would happily stay here again. 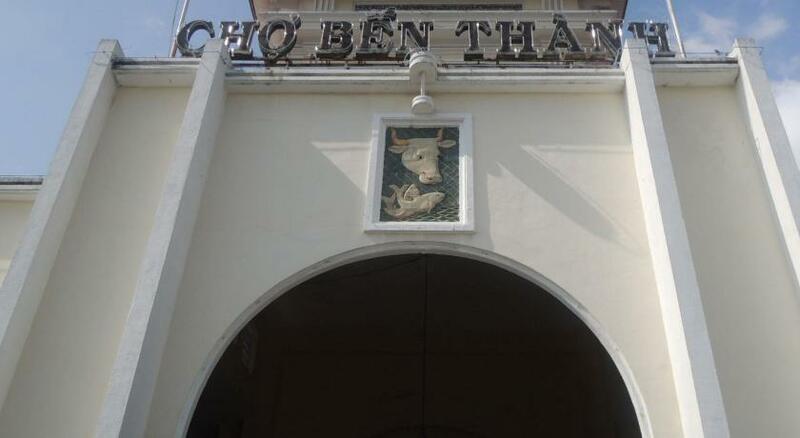 Really good location, near to Ben Thanh market and good food. Room was a good size and bathroom was spacious and clean. Bed was a nice and comfortable King Size. Towels, water and toiletries were replenished daily. Breakfast spread was really good, nice variety, tasted good and some food items were changed up daily. Fresh fruits, coffee and drinks were replenished regularly. Overall a really good experience and I would definitely stay again. 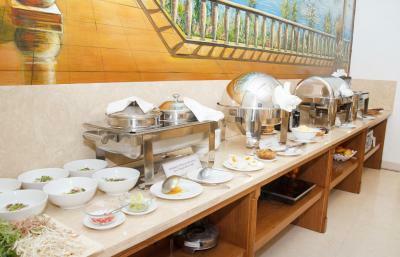 The buffet breakfast every morning was great. The hotel is located right near the main attractions that we wanted to see. It was a bonus being able to walk to where we wanted to go. Staff are friendly and always willing to help. Comfortable soft bed , English Tv channels , has safe , Friendly and helpful with tours and great Buffett breakfast with real coffee. Located on A quiet street in the middle of everything . Many people stay here like myself to attend dental appointments at Far East Dental , Yes you can buy better but Cap Town is by far better value for money. 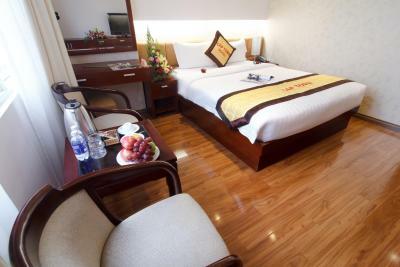 One of our top picks in Ho Chi Minh City.Just steps from Mariamman Hindu Temple, Cap Town Hotel offers bright rooms with air conditioning in Ho Chi Minh city. 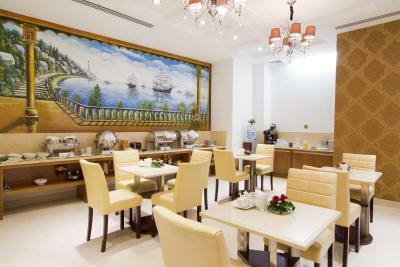 Featuring a coffee shop, the hotel has an on-site restaurant and provides free WiFi access in all areas. 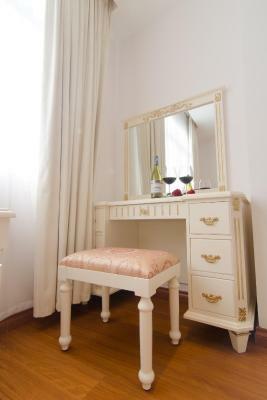 Featuring pleasant white-washed walls and classic wood furnishings, all rooms are air-conditioned and come with a personal safe, flat-screen TV and minibar. 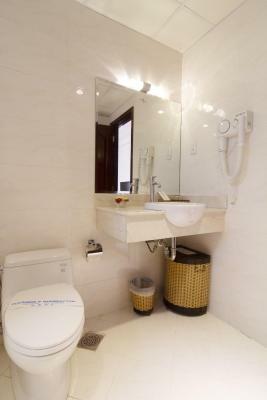 Well-appointed private bathroom is equipped with bathtub or shower facility, a hairdryer and free toiletries. 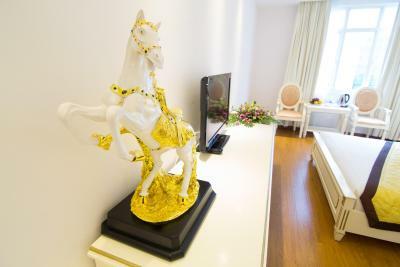 Cap Town Hotel is within 400 yards from Ben Thanh Market and Ben Thanh Street Food Market, while Reunification Palace is 650 yards away. Tan Son Nhat International Airport is 4.3 miles away. 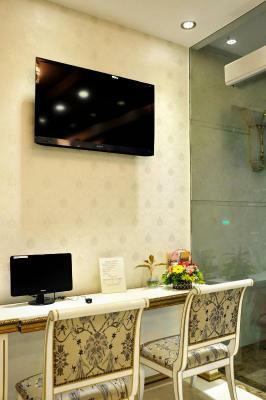 For guests' convenience, the hotel offers concierge services, a business centre and tour desk. Staff at the 24-hour front desk can assist you with currency exchange and laundry services. 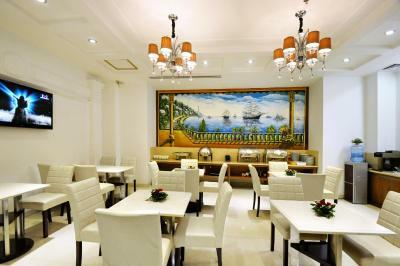 Hearty local and European meals can be enjoyed in the casual setting of the in-house restaurant. Room service is available upon request. District 1 is a great choice for travellers interested in markets, museums and shopping. 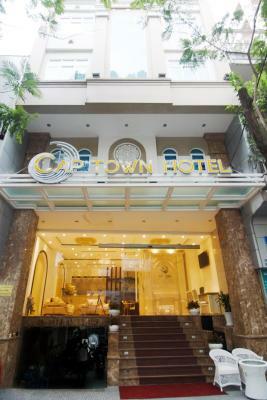 Cap Town Hotel has been welcoming Booking.com guests since 15 Sept 2011. 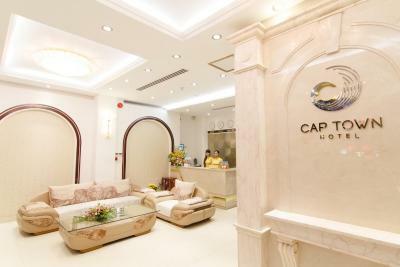 When would you like to stay at Cap Town Hotel? Featuring over-sized windows, this spacious air-conditioned room features free Wi-Fi, a flat-screen TV and a private bathroom with a bathtub. 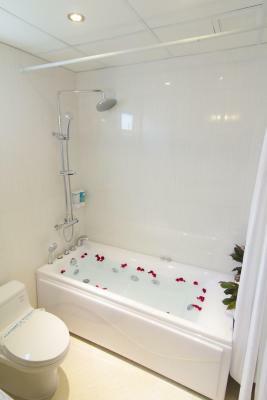 This air-conditioned room features added space, free Wi-Fi, a flat-screen TV and a private bathroom with a standing massage shower. 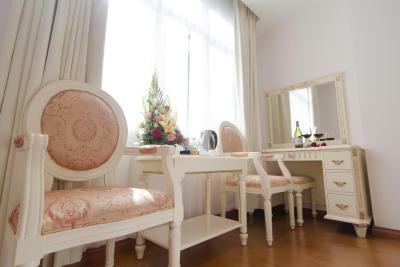 Located at the back of the hotel, this air-conditioned room overlooks the city without the noise from the streets. Free Wi-Fi and a flat-screen TV are included. 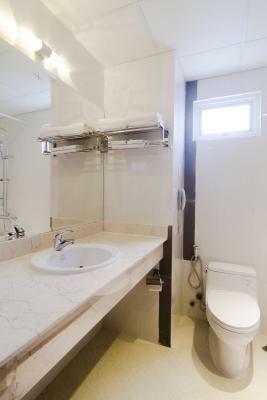 En suite bathroom has a standing massage shower. 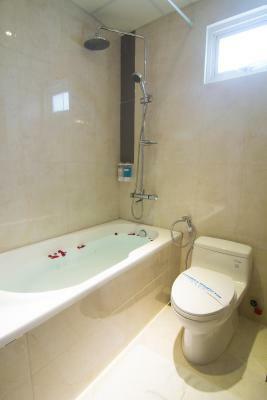 This air-conditioned room features added space, free Wi-Fi, a flat-screen TV and a private bathroom with a bathtub. 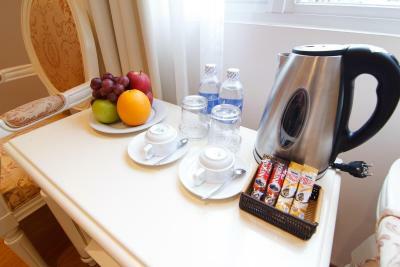 Hotel surroundings – This neighbourhood is a great choice for travellers interested in markets, museums and shopping – Check location Excellent location - show map Guests loved walking around the neighbourhood! 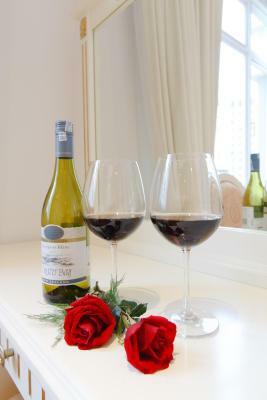 House rules Cap Town Hotel takes special requests - add in the next step! One child from 6 to 11 years is charged VND 116298.23 per person per night when using existing beds. 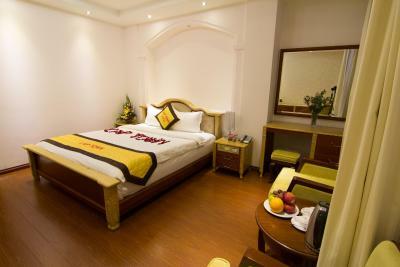 One further older child or adult is charged VND 232596.46 per person per night in an extra bed. Cap Town Hotel accepts these cards and reserves the right to temporarily hold an amount prior to arrival. Friendly, helpful staff. The cleanliness. Bathroom flooded. Breakfast could have been better. I had read on website that there are sound proof windows. This we didn't have in our room and would have been nice since the noise from the street is insane! Good location and friendly staff. Spacious rooms. Bedroom slippers - hotel provided proper slippers but for hygiene reasons, I would prefer the disposable type. No hot water, room size small and smells of moth balls. Eggs to order offered at breakfast but no one was there to order from! All a bit tatty.